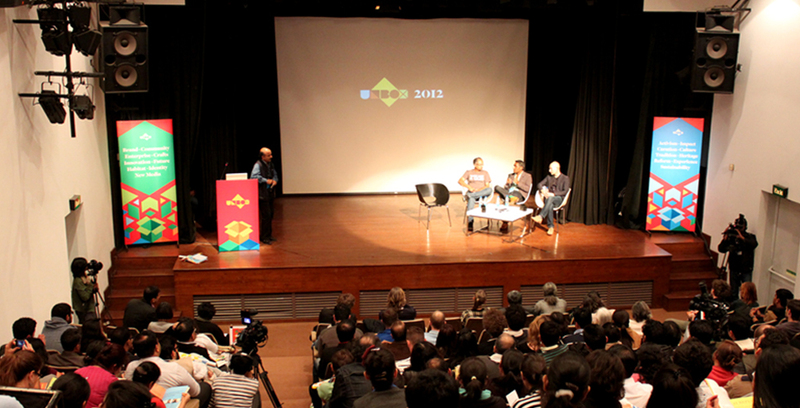 Installations and Venue created for the UnBox Design festival organized by Quicksand Design Studio and held at the British Council every year. Central installation reflecting the event theme of ‘Action at the Intersections’ doubled up as a talking point around which workshops and inter-disciplinary discussions were held. The space transformed into an AV installation for the evenings around which informal networking sessions were held. UNBOX FESTIVALCentral installation for the first UnBox festival at the British Council, New Delhi. 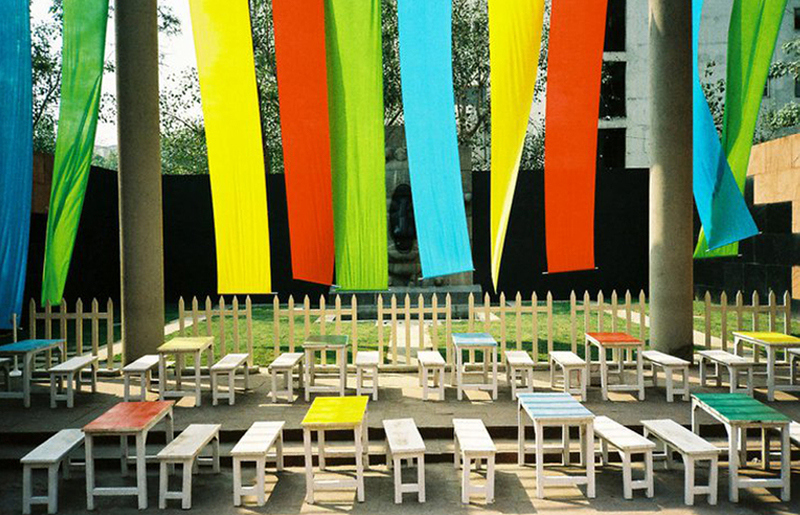 The theme for the event was ‘Action at the Intersection’ and the form of the installation was derived from the visual language of the event. Projection MappingThe surface of the installation was used as a projection surface for the evening informal networking sessions. 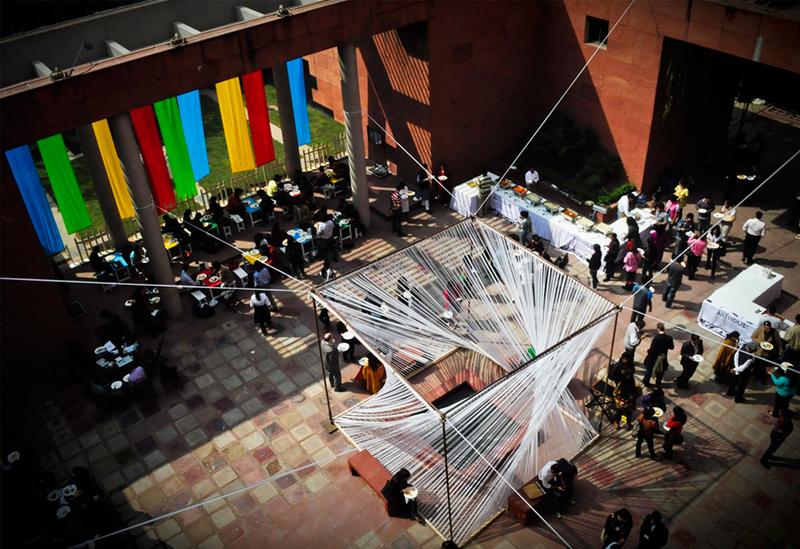 WorkshopsDaytime open air workshops were held around courtyard, with the installation acting like a visual partition between multiple workshops.